Hi everyone! 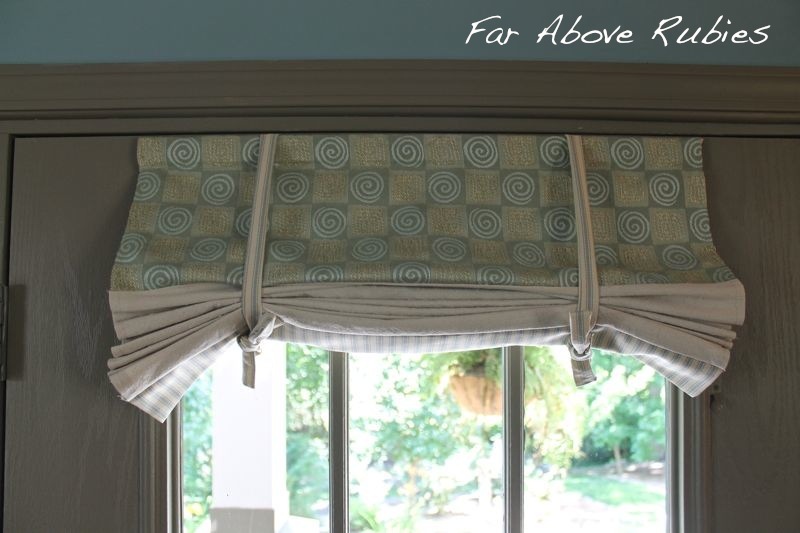 I wanted to share the shades I made for my windows as part of my great room makeover. We really don't need privacy in here because we are in the woods, but there are times when we want to shut out the sun, etc. I had panels that would close, but because this rod is not heavy duty, I had to put more supports which makes it impossible to only have two panels. Since I didn't want to add panels in between the windows like I have before, I opted for shades. I did have bamboo shades before, but they just look pretty and don't do a lot of filtering out sun and definitely don't help with privacy. 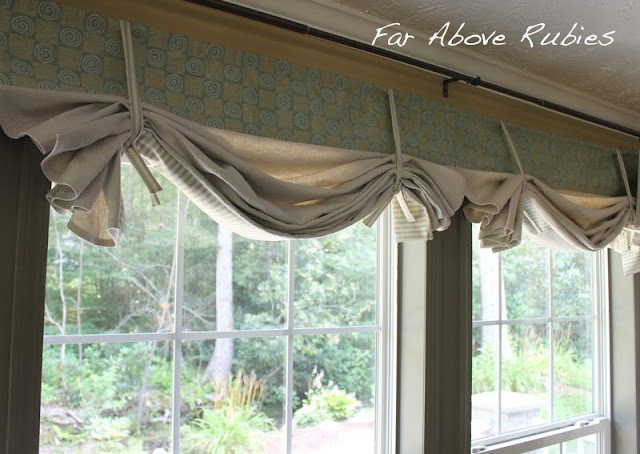 I used a fabric remnant in this mid-century pattern for the top, then cut lengths of drop cloth fabric to fit all the way down the window. At the bottom, I used the denim blue ticking. For the three windows, I made three separate shades then attached them at the top so they will not come apart. Since we rarely have them down, I opted for this style which just has a tie. I like the loose look, but they are not for someone who has to let them down every night. I also made shades for the french doors as we do get a lot of sun streaming through these in the afternoons. This was a pretty easy project using material I had from other projects, and really didn't take a lot of time. I am hoping I will be ready to open Knight's Store on etsy next week, and just in time to celebrate three years of blogging on October 1. I'll have lots of unique runners, shopping totes, aprons, etc., that I *hope* someone likes! If not, then you'll be seeing me rotating them around here, lol. Thanks so very much for stopping by. Each and every comment is appreciated and I would love to chat with you on facebook, if you have not already come by and 'liked' Far Above Rubies. There is a link on the sidebar. Great idea Anita! You did a fantastic job! Still lovin' that blue! They all look beautifully coordinated together! I love your fabric and color choices. Great Job! You did a lovely job. Can't wait for your store to open up.Congrats. Anita, On this day, God has given you so many talents, and I really appreciate you sharing your home and beautiful projects, warmth, hope and wonderful country with us. 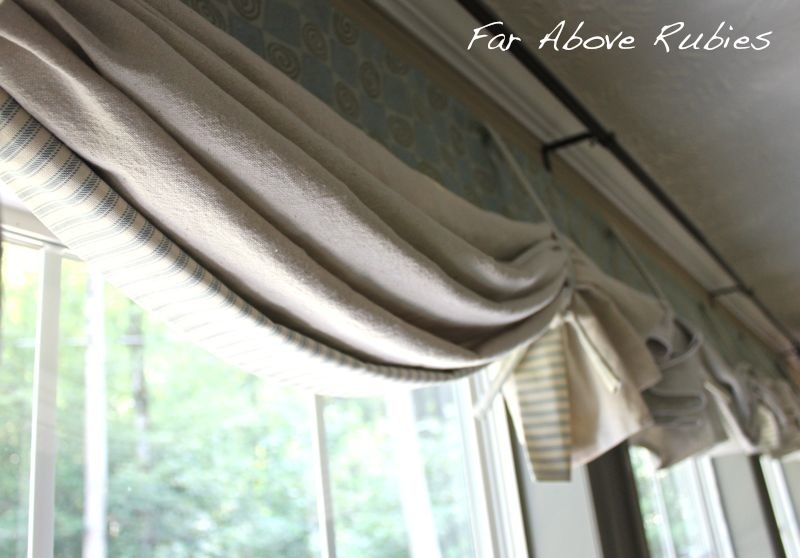 I love the drapes, very elegant, timeless and made with such care. They frame your rooms so graciously. Beautiful!!! Woman, is there nothing you can't do??? You are amazingly talented! I can't wait to see your store! Crazy talent... that is you!!! Great idea! Your house is decorated so adorable ! Anita you sew awesome....love your style....looking forward to etsy. 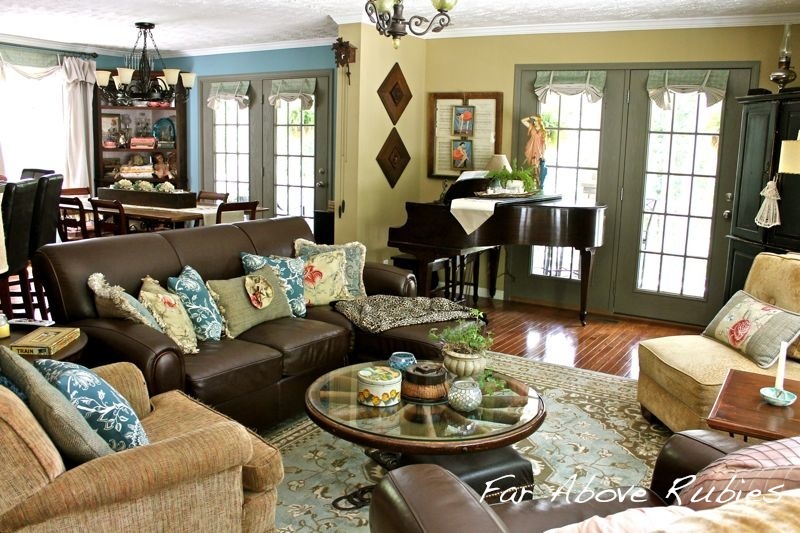 Your house is like looking at a magazine. I can't wait for your Etsy shop. 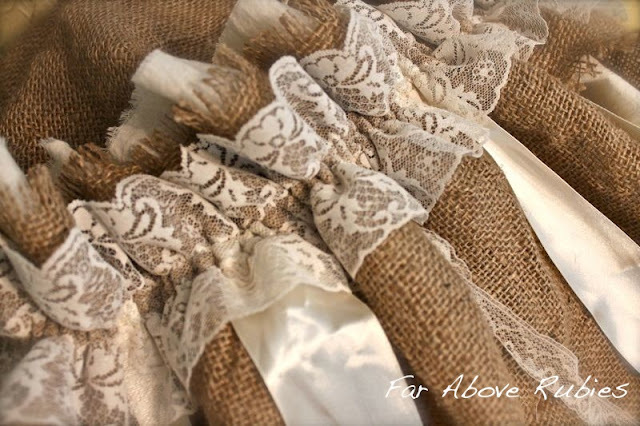 ohh...what is the picture of with the burlap and lace? Are you still working on a project? Did you reveal it and I missed it? Just beautiful! Your home looks gorgeous! They look absolutely beautiful! You really are super-woman!! 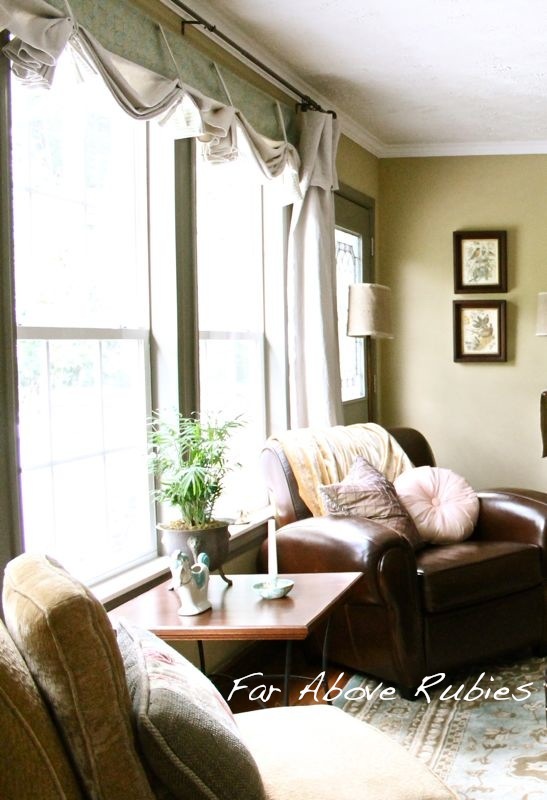 In fact, the whole room looks gorgeous - just perfect for hunkering down in this autumn!! Hello Anita! You house is so wonderful! 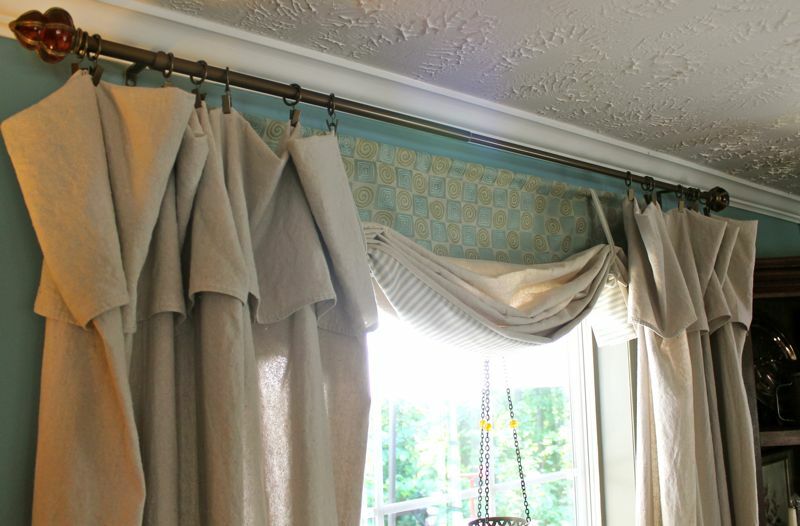 Very nice curtains and I love all the details...fantastic! Indeed, that window shade design is really beautiful. Thanks for sharing your ideas. I wonder where to buy those lovely shades online? 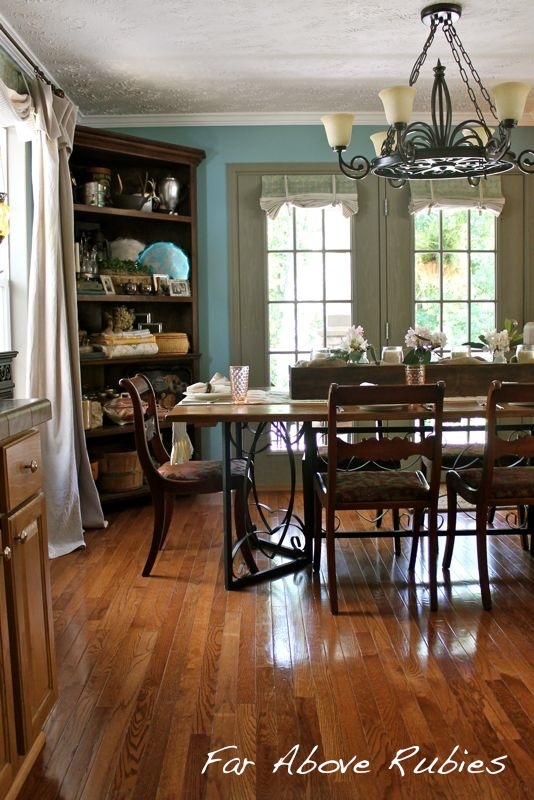 It really added more beauty to your home. I hope to have for my house too.